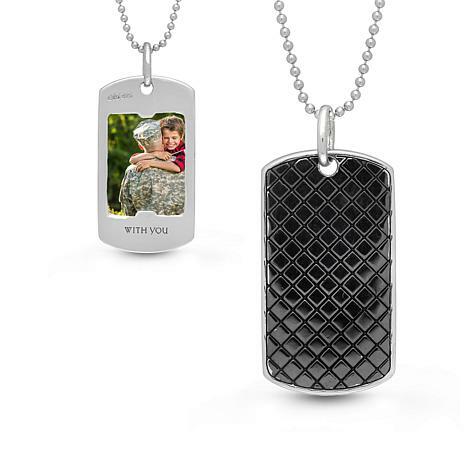 This masculine pendant is an elegant, updated version of the classic Military-style dog tag. 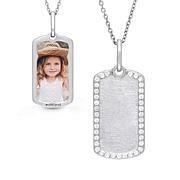 It features a sleek, oxidized silver crosshatch pattern on the front and space for a personalized photo on reverse. 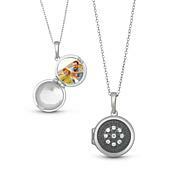 It's the perfect way to remember the special people in your life.